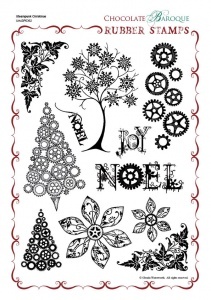 This rubber stamp set contains 11 images including 2 Christmas trees made up entirely of cogs, 2 matching stylised corners, a seperate set of cogs, flowers and sentiments. 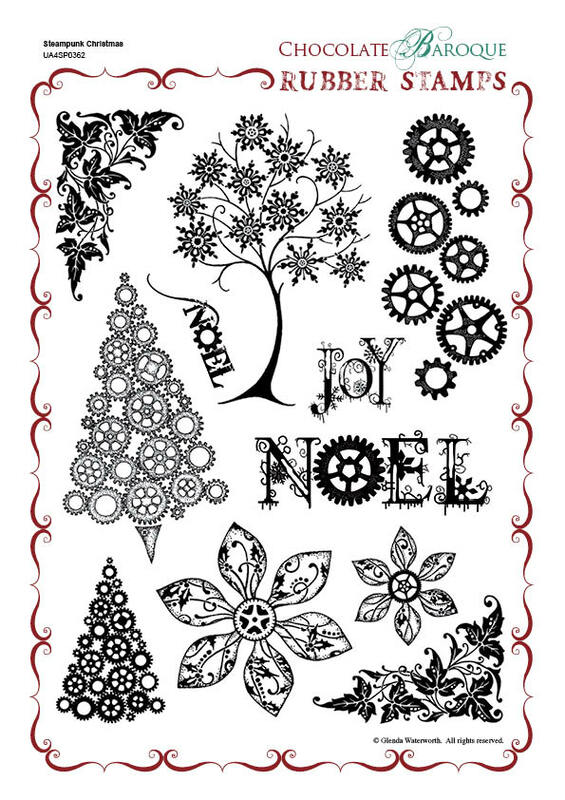 This unusual set is so on trend for anyone who loves the steampunk style and will be fabulous for creating alternative, fashionable Christmas cards as well as mixed media and altered art projects. If you want to stand out from the crowd then this stamp set is for you. Extremely happy with the quality of this Steampunk Christmas stamp. Exactly what I was looking for to make cards & tags this year! I am in love love LOVE with this set!!! I have always enjoyed Tim Holtz's steampunk line, but everything is gritty and I had been searching for a crisp, clean steampunk style and I found it in this stamp collection. The images stamp so crisp and so detailed that they create truly breathtaking cards. The thing I enjoy most about this stamp sheet is that Men love it too and are just as eager to purchase anything using this stamp sheet as women are. I just adore this set of stamps - made a card at a workshop on Thursday and is now definitely on my shopping list. Wow! what can I say about these fab stamps, they are so funky! Deep etching for a crisp print everytime. Ordering is so easy and delivery is so fast. I highly recomend this company. 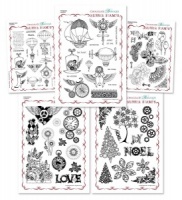 This is an absolutely brilliant stamp sheet - on trend with the Steampunk theme and very versatile. A fabulous stamp set - something a bit different for Christmas. I plan to make tags for friends using this set. Fantastic stamp sheet. This is my first order but will definitely not be my last. There are so many stamp sheets that I love but cannot decide on which ones to start my collection with first! Excellent delivery. Ordered 7am Friday morning received Saturday morning. Brilliant well done.